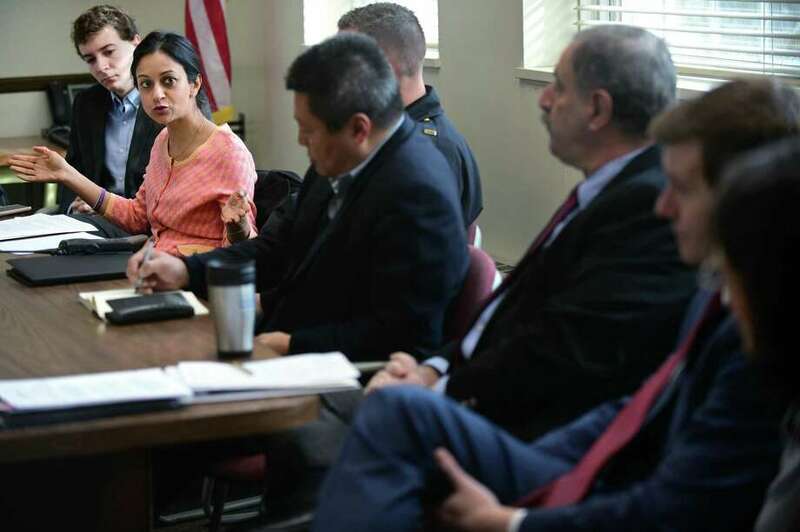 Greenwich resident Dita Bhargava speaks during a roundtable discussion on the opioid crisis with Senator Richard Blumenthal, Congressman Jim Himes, State Senator Will Haskell, State Representative Jonathan Steinberg, and other officials at Westport Town Hall Friday, April 5, 2019, in Westport, Conn.
“Would you be asking me this question if I had cancer? You need to be honest. You need to get out there. You need to bring people to the table. We need to be treated like any other person suffering from any other disease because people continue to die,” Bhargava remembers Alec said. That conversation with Alec was one of the last Bhargava said she had with him because shortly after Alec relapsed and on July 13, his 26th birthday, Alec died of a Fentanyl overdose.